Monroe, WI (November 28, 2017) – A well-appointed, picture-perfect cheese board is an exciting holiday appetizer. Creating professional-looking boards at home can be easy if you know insider tips. To help holiday hosts create impressive cheese boards, Emmi Roth, a leading producer of specialty cheese, has teamed up with cheesemongers from around the country to create five inspirational cheese boards and share tips and tricks for selecting and arranging cheeses and accouterments like a pro. The beauty of a cheese board is that it offers guests the opportunity to taste and sample cheeses they’re not familiar with. When selecting cheese for your board, choose three to five different options with a mix of bold, spicy and mild flavors. An alpine-style cheese, like Roth® Grand Cru®, is a perfect cheese to start with because it’s complex, yet mild enough to be a crowd-pleaser. Next, choose a cheese with a bold flavor or spice, like Roth® Sriracha Gouda, a spicy Dutch-style cheese made with Sriracha chili sauce and rubbed with crushed red peppers. Also, serving a mixture of domestic and international cheeses adds depth to boards and often leads to conversation about how the flavor can change depending on where the milk comes from and the region where the cheese is produced. Equally-portioned, cleanly cut pieces of cheese give a professional look to any cheese board. Select cheeses that can be cut into congruent shapes like triangles and tiles to create striking patterns. For cheeses that can’t be uniformly cut, Lilith Spencer of Cheesemongers of Santa Fe in Santa Fe, New Mexico recommends hollowing out the center of the cheese and leaving the rind intact to create a “dish” which can be used to hold chunks or crumbles of the cheese. While the star of your cheese board is the cheese, perfectly selected pairings are critical. Styling a cheese board is easiest when all the cheeses and pairings are first prepped and ready to work with. 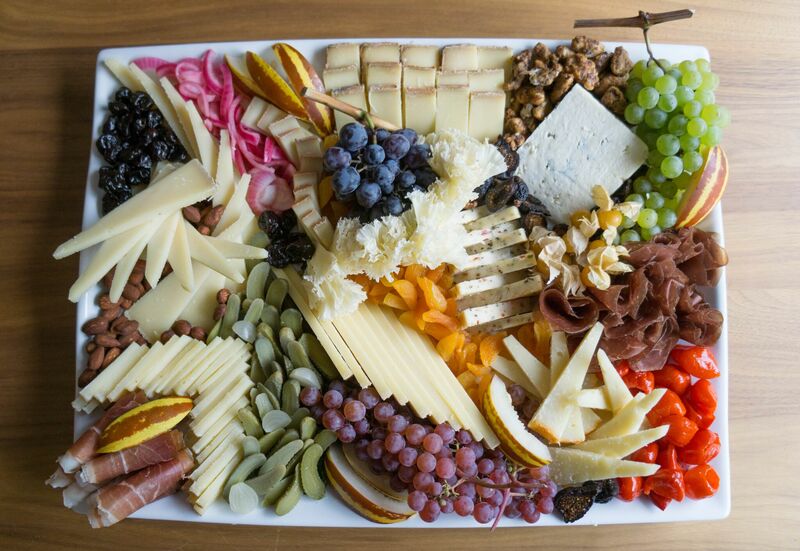 Before building your board, cut all cheeses, prepare accouterments and place condiments into small bowls. Once cheeses are on the board, add items according to the amount of space they will take up – biggest to smallest. When arranging items, consider their shapes and colors. Place contrasting colors next to one another to make the board pop. Add items like nuts, olives and cornichons last to help fill any open spaces, as well as add texture and color. To make entertaining easy, cheese boards can be prepared ahead of time and stored in the refrigerator until ready to serve. Approximately 30 minutes before guests arrive, remove the board from the refrigerator and allow the cheese to come to room temperature. While hands can pick most items on cheese boards, be sure to offer guests tongs and utensils to build their own personal plates. 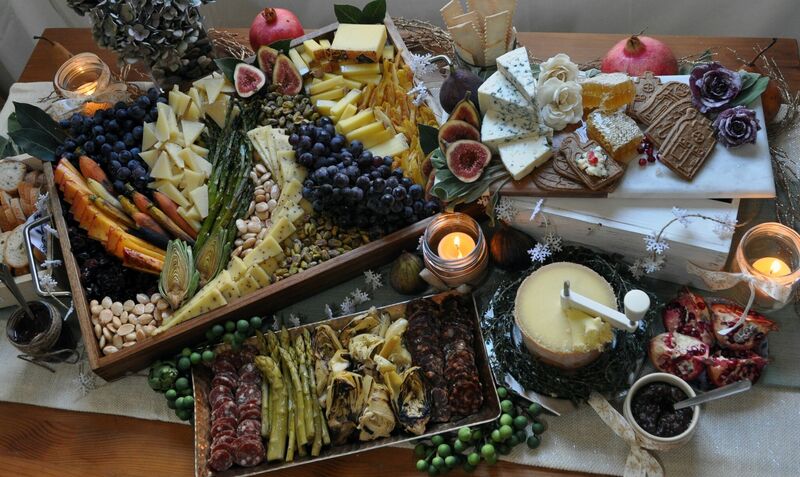 For more holiday entertaining inspiration, visit emmiusa.com and rothcheese.com and follow Emmi USA and Roth Cheese on Facebook. Emmi Roth, a subsidiary of Switzerland-based Emmi Group, is a leading producer of specialty cheeses. Our expansive portfolio displays a unique marriage of cheeses from two different worlds with very similar traditions and local values – from handcrafted award-winning Roth® cheeses from Wisconsin to Emmi’s full range of traditional varieties imported from Switzerland. Wisconsin brands include Roth® and Kindred Creamery. Artisan cheeses imported from Switzerland feature Emmi, Kaltbach, Der Scharfe Maxx, and more. Learn more at emmiroth.com. Seasonal cheese board from assistant manager Ellian Rohrbacher from New Seasons in Portland, Oregon offers guests a variety of cheeses, including imported Swiss cheeses from Emmi – Alter Schweitzer, Füürtüfel, Le Gruyére AOP, Der scharfe Maxx, Tête de Moine AOP; and Wisconsin-made Roth® GranQueso, Roth’s Private Reserve, Grand Cru® Surchoix, and Buttermilk Blue®. Accompaniments on the board include grapes, candied walnuts, tiger melon, ground cherries, dried figs and apricots, prosciutto, almonds and pickled onions. Elaborate cheese board display created by Cheesemonger Jessica Lawrenz from Venissimo Cheese in San Diego features Wisconsin-made Roth® cheeses—Buttermilk Blue®, Sriracha Gouda, Grand Cru® Surchoix— as well as Emmi cheeses from Switzerland— Emmi Le Gruyére AOP and Maître Moutardier—and accoutrements—mixed nuts, roasted veggies, dried and fresh fruits, charcuterie, pickled vegetables, jams and cookies.